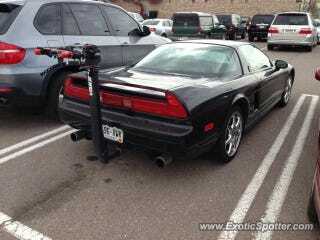 On the way home on the interstate, I was passed by a white NSX, with a bike rack on the back. It was mounted on the back above the license plate. There was a Cruiser bike on it. Oh yeah, it was raining too. It’s nice to see an exotic car used as a regular car.